I’ve been shopping around for a blender for a while. And I have to admit that I’ve been considering some of those super high-priced blenders like Vitamix and Blendtec. 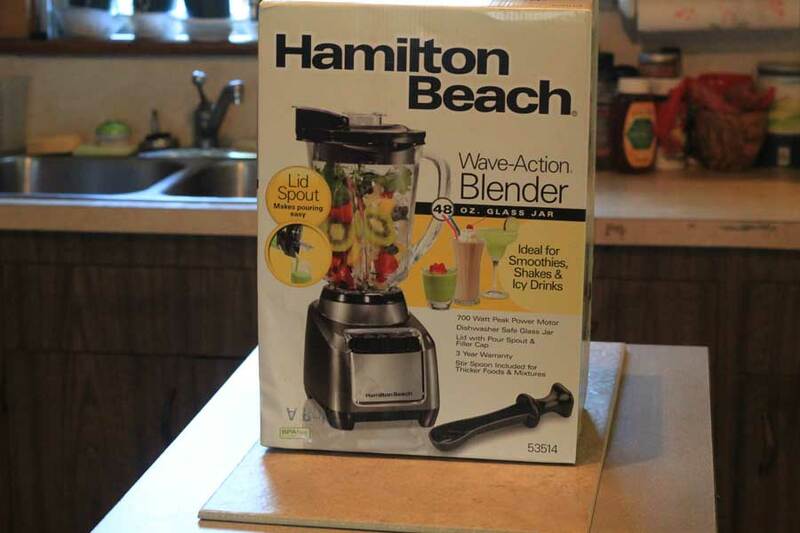 So when Hamilton Beach emailed me and let me know about their new Wave-Action blender, the timing was spot on. I wasn’t sure what to expect. I looked it up and it had some decent reviews. It’s a $50 blender though. I have a good track record with Hamilton Beach products. I’ve tried their food processor and coffee maker, so I know that they have some great budget-friendly products that perform well. But could this blender compete with some more expensive blenders? 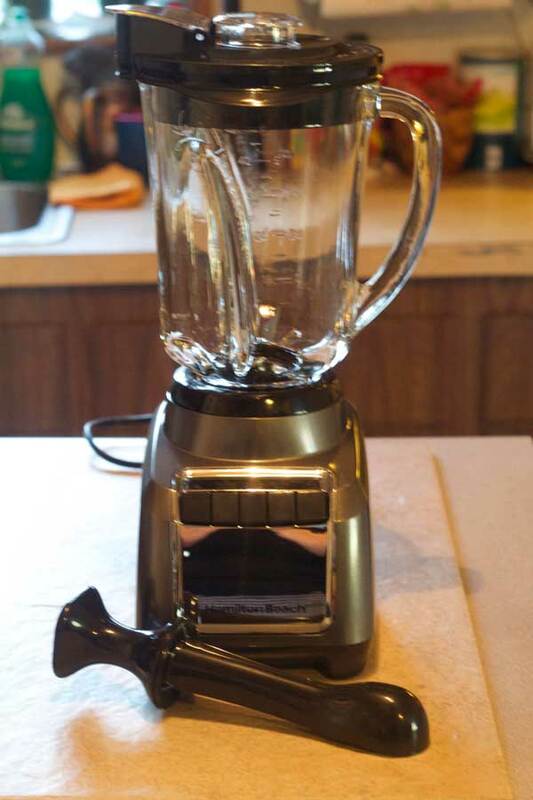 Could this blender work in my kitchen? I typically use a blender for a morning smoothie and occasionally some soup or even a frozen cocktail. Each year I commit to using the blender more though. 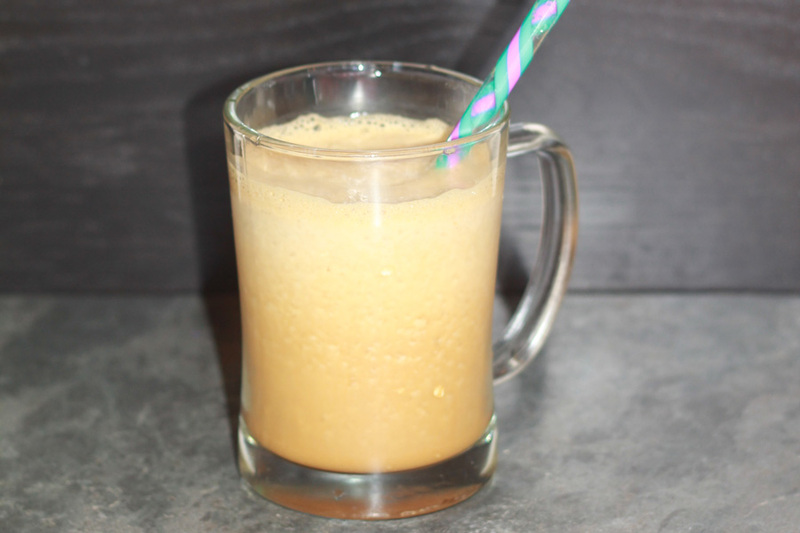 One of my favorite drinks in the summer is iced coffee. Another favorite is an iced chai latte. I make iced coffee at home all the time, but I’m ashamed to admit that the majority of my iced chais tend to come from places like Starbucks. I always tell myself that I should be making it at home. I shouldn’t be paying five dollars for a drink. When I do get an iced chai, I often ask for it with a shot of espresso – which is often referred to as a dirty chai latte. So I decided to pull this blender out of the box and make myself a dirty chai frappé. 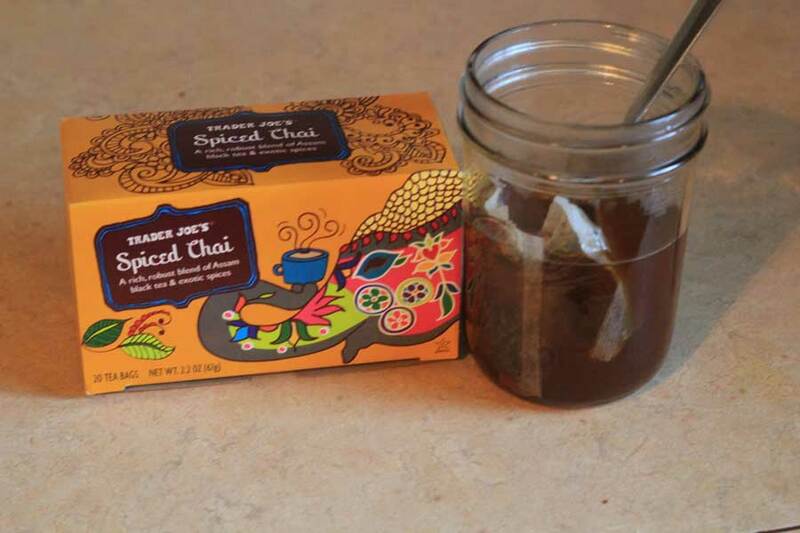 I boiled some water and seeped the tea bags in a cup of water to make a strong chai concentrate. I also frozen some cold brew coffee in some ice cube trays. When the tea and coffee were ready, I blended both with some maple syrup and almond milk. I had myself a vegan dirty chai frappé! And it took me all of two minutes! This blender worked wonders on my iced chai cravings. It’s Wave Action technology easily pulls everything in to the blades. The blender does include a stirring tamper piece, but I didn’t have to use it on my frappé. I imagine that it will come in helpful with soups or veggie purees. But I was very impressed with it. And thanks to Hamilton Beach, you also have the opportunity to win your own blender! Awesome, right? So check it out and enter. And try my dirty chai frappé. Boil the water and brew the tea in the water. Stir in some maple syrup and chill. 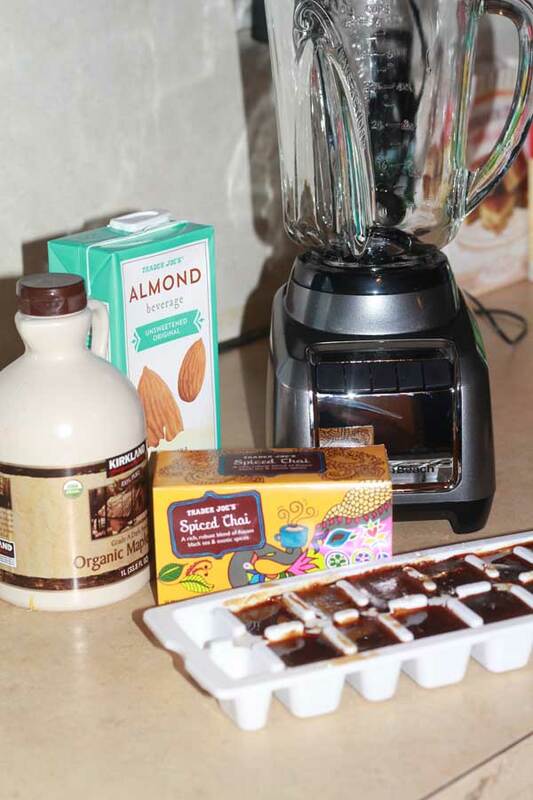 When both the coffee is frozen and tea is chilled, place in blender and blend with some almond milk.